The need for political reconciliation has been in news with respect to Afghanistan for long, but happenings past two years and recent short emergency imposed in Maldives indicates Maldives needs it as much. In a move that surprised many Maldivians, President Abdulla Yameen arrested his deputy Ahmed Adeeb on a charge of high treason moments after his flight from Singapore landed at the international airport. Enclosed is the photo-copy of ‘Eelam News’ published in ‘Junior Vikatam’, a Madras-based weekly newspaper. Accept our congratulations and compliments for that courageous stand you took at the risk of your career prospects. Because you are a servant of democratic India, you are able to continue in office. If it happens in Sri Lanka, you are fired out of office. I have brought to your notice, and you all are also aware, of about 40 violations of the peace Accord by the Sri Lankan Government. The power­ful elder brother (Govt. 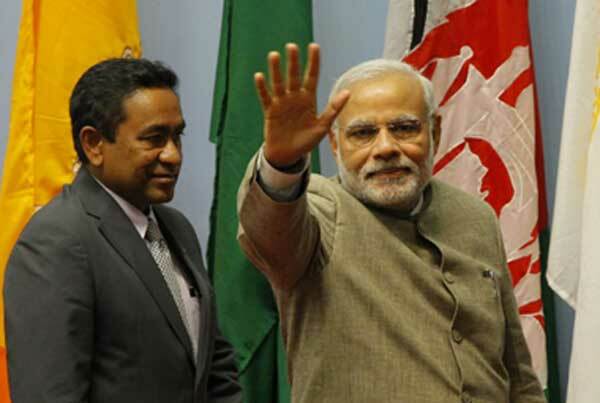 of India) has not done anything about it, but is spending its energy in weakening the LTTE – that means weakening the Tamils. 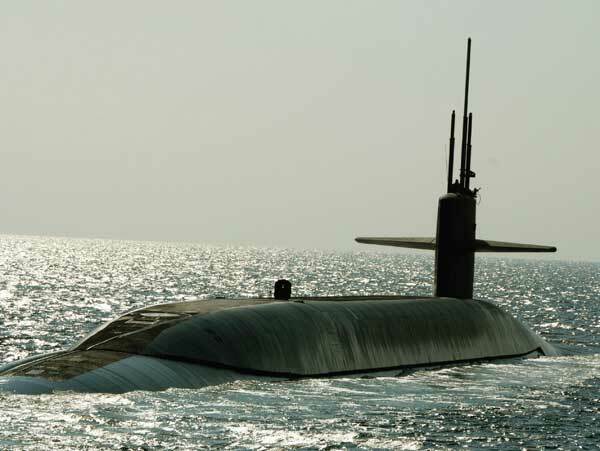 The demand for submarines, both nuclear powered and conventional, has never been greater as nations around the world seek affordable and reliable designs that meet national defense requirements. However, the cost and complexity of modern submarines are not compatible with most country’s defense-budget projections. Thus, submarine developers are seeking technology solutions that will enable shipyards to build these crucial assets on budget and on time with the operational performance and lifecycle durability and availability to satisfy acceptable total-ownership-cost (TOC) goals. After Paris Attacks: Will Middle East again burn Western hands? As the horrors and plot of 13/11 Paris Attack unfold, its comparison with 26/11 Mumbai carnage becomes unavoidable given the striking similarities in the nature of soft targets chosen by the plotters. But there are stark distinguishing features too. 26/11 Mumbai attacks were basically a Foreign Intelligence Service sponsored act of proxy war against India where terrorists were directed at every step by their Pakistan-based handlers to carry-out prolonged scenes of horror through arson and firing occurring after short intervals. The 7th CPC places the Indian Police Service (and, almost in passing, the Indian Forest Service) on a level with the Indian Administrative Service, leaving the military out in the cold, observes Ajai Shukla. Where you stand on the recently released Seventh Central Pay Commission report depends upon where you sit. Macro-economists, viewing the report through the lens of fiscal prudence, might conclude the commission has been overly generous. Surprisingly, many central government employees who are beneficiaries of this largesse would partially agree. Viewing remuneration through the lens of cut-throat inter-service competition, most would complain the commission has given too much to rival services and too little to their own. Even more than absolute benefits, each service wants to gain relative to rival services, since this determines relative seniority and status. Employees of service X would applaud a Rs 5,000 raise, in tandem with a Rs 3,000 raise for services Y and Z, more than they would a Rs 10,000 raise across the board. In this relative sense the clear gainers from the 7th CPC are the Indian Police Service and the Indian Forest Service, assuming the government implements the CPC report in toto (historically, governments have added benefits to what CPCs recommended). The biggest relative loser is, once again, the military. 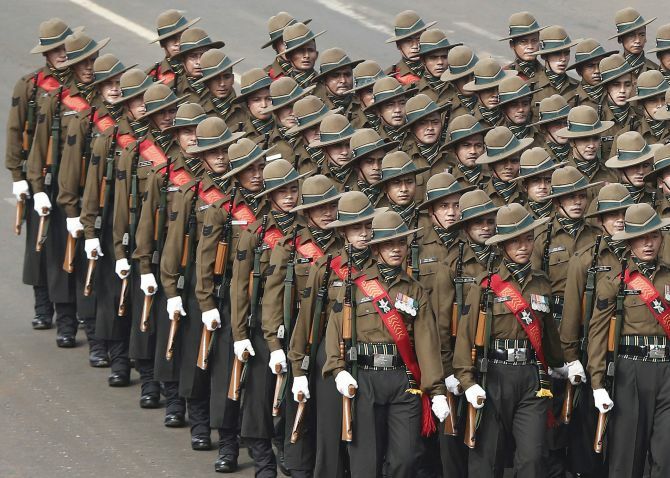 Historically, even while it has demanded parity with the Indian Administrative Service and the Indian Foreign Service, the army has been equated with the IPS, much to its chagrin. Now, even worse, the 7th CPC places the IPS (and, almost in passing, the IFoS) on a level with the IAS. To see how this so, start at the beginning. There are two main categories of central government employees: the “All India Services” -- the IAS, IFS, IPS, IFoS and the military. The second is Organised Group “A” Services -- Customs & Excise, Railways, Border Roads Organisation, Indian Ordnance Factory Service, and a host of others. Afghan optimism about the overall direction of the country and confidence in government fell to their lowest point in a decade, while fear for personal safety increased to a record high. Afghans cite deteriorating security, unemployment, and corruption as the main reasons for their pessimism. The longest-running and broadest nationwide survey of Afghan attitudes and opinions, the annual survey provides insight into the views of Afghans on issues central to the country’s development. Conducted between June 11-28 this year with 9,586 Afghan citizens representing 14 ethnic groups and in 34 provinces, this year’s survey includes new questions on youth, ISIL/ISIS, women in leadership, and mobile phone access. Follow the conversation at #AfghanSurvey. Read the news release, download the survey PDF, view other resources, or explore and download data. The Communist Party’s post-Tiananmen survival strategy is exhausted, and its new strategy is likely accelerating the party’s demise. No autocracy has been as successful as the Communist Party of China (CPC) in the post-Cold War era. 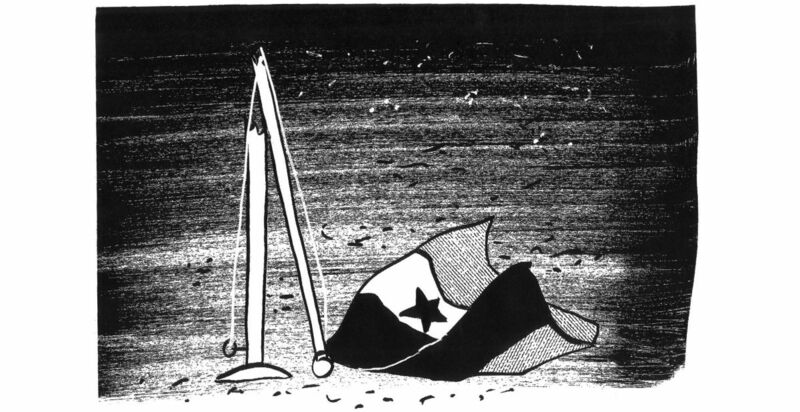 In 1989, the regime had its closest brush with death when millions of protestors demonstrated in major cities throughout the country, calling for democracy and venting their anger at official corruption. The party was saved only with the help of the People’s Liberation Army (PLA), whose tanks crushed the peaceful protestors around Tiananmen and in Beijing on June 4. In the quarter-century since the Tiananmen massacre, however, the CPC has repeatedly defied doomsayers predicting its imminent demise. It has survived the shock of the collapse of the Soviet Union but also weathered the East Asian financial crisis of 1997–98 and the global financial crisis of 2008. Since Tiananmen, the Chinese economy has grown roughly tenfold in real terms. Its per capita income rose from $980 to $13,216 in purchasing power parity (PPP) in the same period, catapulting the country into the ranks of upper-middle income economies. The recent attacks in Paris, Beirut, and Sharm Al-Sheikh demonstrated to world leaders that we have a serious problem: If the self-proclaimed Islamic State appeared to be contained in Syria and Iraq, the recent attacks proved exactly the opposite, that the group can execute external operations even while its territory is shrinking. The recent attacks also provoked a much-needed debate about whether this is a recent strategic shift by the Islamic State to focus more on terrorism abroad, or rather a chain of tactical wins representing the culmination of a strategy that was put in place a long time ago. Those that argue that the recent attacks symbolize a strategic shift say that, as a result of losing territory, the Islamic State has decided to allocate more resources to terror operations abroad. 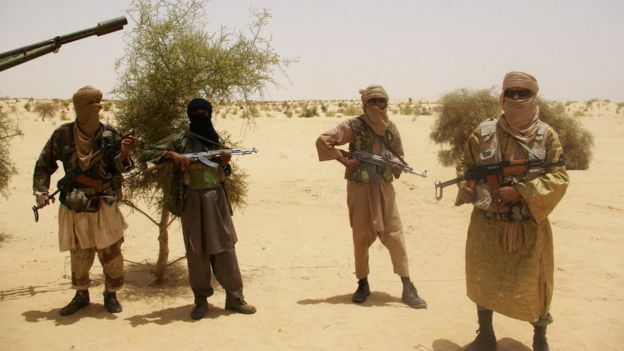 This argument further suggests that because the group cannot show success on the ground due to these territorial losses, it needs to focus more on global terror to maintain its reputation and flow of recruits. This argument makes sense, especially in light of recent Islamic State defeats in Sinjar and Northern Syria, but other factors suggest that the group’s recent successes abroad are actually part of a global effort the organization started long before its so-called state was shrinking. The jihadist slaughter over the last three weeks seems senseless. The self-proclaimed Islamic State killed 224 on a Russian airliner, 43 in Beirut, over 120 in Paris, and around 20 in Bamako. How could religious people in pursuit of paradise believe it’s acceptable to take innocent life? How could rational people in pursuit of power believe it is smart to create enemies on all sides? Many of the answers are found in a strategy manual written by an al-Qaeda sympathizer over a decade ago called The Management of Savagery. The book is revered by al-Qaeda and Islamic State operatives, despite their antipathy for each other. It was one of the first jihadist texts I translated, in an effort to enlighten myself and others about the rationale behind the 9/11 attacks. I have turned to it often since then to help me make sense of violent events like those we have seen in recent weeks. The author, the pseudonymous Abu Bakr Naji, does not spend much time religiously justifying violent revolution. The Prophet Mohammed, he observes, waged a war against the tribal powers of his day to establish a state. The more pressing questions are which kinds of violence are sanctioned by scripture and when are they effective. Every time the Islamic State commits yet another attack or atrocity, Muslims, particularly Western Muslims, shudder. Attacks like the ones in Paris mean another round of demands that Muslims condemn the acts, as if we should presume guilt, or perhaps some indirect taint. The impulse to separate Islam from the sins and crimes of the Islamic State, also known as ISIS, is understandable, and it often includes statements such as ISIS has “nothing to do with Islam” or that ISIS is merely “using Islam” as a pretext. The sentiment is usually well-intentioned. We live in an age of growing anti-Muslim bigotry, where mainstream politicians now feel licenseto say things that might have once been unimaginable. 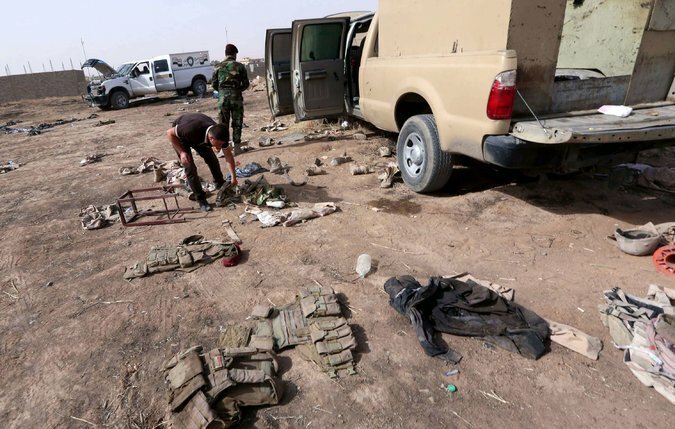 Iraqi gear littered the ground near an Iraqi Army checkpoint east of Mosul on June 11, 2014, a day after militants overran the city. WASHINGTON — When Islamic State fighters overran a string of Iraqi cities last year, analysts at United States Central Command wrote classified assessments for military intelligence officials and policy makers that documented the humiliating retreat of the Iraqi Army. But before the assessments were final, former intelligence officials said, the analysts’ superiors made significant changes. In the week since the attacks on Paris, there has been a great deal of talk about waging war on the Islamic State, but scant clarity about how such a war might succeed. In a season when the improvisations of Vladimir Putin shape geopolitics, and those of Donald Trump shape American politics (Trump has remarked that Putin is “getting an A” for leadership), it is perhaps unsurprising that public discourse about what comes next has been informed by opportunism and incoherence. Yet even the sober, often stirring rhetoric of the French President, François Hollande, has often elided the main problem, which involves aligning aims with realistic means. “France is at war,” Hollande told his parliament last week, as French jets struck Raqqa, Syria, the Islamic State’s self-declared capital. He vowed to “eradicate” the organization. But how, and how long will it take? On his way to Rome in 49 BCE, Julius Caesar paused beforecrossing the Rubicon. With only a single legion under his command, and outnumbered two to one by Pompey’s legions, the general faced the serious threat of defeat if he committed his forces to invade Rome. Ultimately, Caesar led his army to victory and solidified the Roman Empire. But the decision to fight his opposition was driven by the reality that Caesar had only one alternative to victory: surrender. Bomb ISIS. Go ahead. They deserve it. It certainly satisfies the primal need for visible retaliation after the Paris attacks. It may even do some good in the struggle against terrorism in Europe. Some—but probably not very much. The enemy against which France and Europe are struggling is not centered in Syria. It receives examples and inspiration from Syria. It travels to Syria for practice and training. But it arises and is formed at home, inside Europe. It threatened Europe long before ISIS ever took shape. In 1995, for example, Khaled Kelkal, a young Algerian raised in France, played a central role in a campaign by members of Algeria’s Armed Islamic Group to place bombs at commuter rail stations, at the Arc de Triomphe, and—in a familiar pattern—at a Jewish school. The bombing campaign killed eight people and wounded hundreds more. When analysts and intelligence experts were highlighting the warming sun of the Arab Spring, there was much hope. Democracy was in the air and the gap between Islam and the West might be closing. Then came Paris. Rather than a warming sun, close observers felt an icy chill, and an evident European strategic shift away from the agenda set by Washington. The outpouring of anti-Islamic and anti-refugee sentiment is a gift for Islamic extremist recruitment. On Nov. 13, three separate attacks in Paris shocked us. Without a doubt, the attacks in Paris were hideous. The perpetrators, planners, and supporters of these acts deserve nothing less than death. Following the attacks social media erupted with sympathy for the victims, but also vitriol and rage. Much outrage was, and continues, to be directed at the Islamic faith as a whole and specifically at the Syrian refugee population. These angry sentiments are counterproductive to an effective response. Anger is understandable, but not toward an entire religion or refugee population. WASHINGTON — The recent attacks in Paris and Beirut and the downing of a Russian airliner in Egypt were the first results of a centrally planned terrorism campaign by a wing of the Islamic State leadership that oversees “external” targets, according to American and European intelligence officials. The Islamic State’s overseas operations planning cell offers strategic guidance, training and funding for actions aimed at inflicting the maximum possible civilian casualties, but leaves the task of picking the time, place and manner of the attacks largely to trusted operatives on the ground, the officials said. Carrying out attacks far from the Islamic State’s base in Iraq and Syria represents an evolution of the group’s previous model of exhorting followers to take up arms wherever they live — but without significant help from the group. And it upends the view held by the United States and its allies of the Islamic State as a regional threat, with a new assessment that the group poses a whole new set of risks. PARIS - Before a SWAT team stormed a tenement in the Belgian city of Verviers in January, police used listening devices to monitor their targets inside: Belgian jihadis who had returned from Syria to attack a local police station in the name of the Islamic State. Police gunned down two suspects during the pre-dawn firefight, foiling the plot. But a chilling detail stuck with the Belgian counterterror investigators who tracked down the plotters with help from French and U.S. intelligence. As investigators listened, the militants responded to the police assault with a ferocity forged in the battlegrounds of the Middle East. "They were talking about their plans to commit violence here. The police flashbang grenade goes off. And immediately these two start firing their AK-47s. No hesitation, no panic. These are guys with combat experience. They were ready to fight and die." Seventy years after World War II, there is no alliance in the world as strategic or as strong as that between the United States and Japan. Despite, and in some cases precisely because of, the changes in the world — including the rise of China and developments in both America and Japan — there also has never been a more optimistic moment for the alliance. As a result, it should come as no surprise that Japan today is keenly focused on America’s 2016 presidential election given all that is at stake. Having just returned from the Mt. Fuji Dialogue, the leading U.S.–Japan forum in the world, it was refreshing to observe that there is no country in the world more eager for an American 21st century than Japan. Given Tokyo’s own rivalry with Beijing in Asia and Prime Minister Shinzo Abe’s keen focus on international affairs, the Japanese government is eager to work with the next American president, who it is confident will see the world in similar terms regardless of who wins in 2016. Abe’s “Abenomics” agenda at home, which has led to unprecedented domesticnational security reforms and inclusion in the Trans-Pacific Partnership, the region’s most far-reaching free trade agreement, are bets on the future of American global leadership. 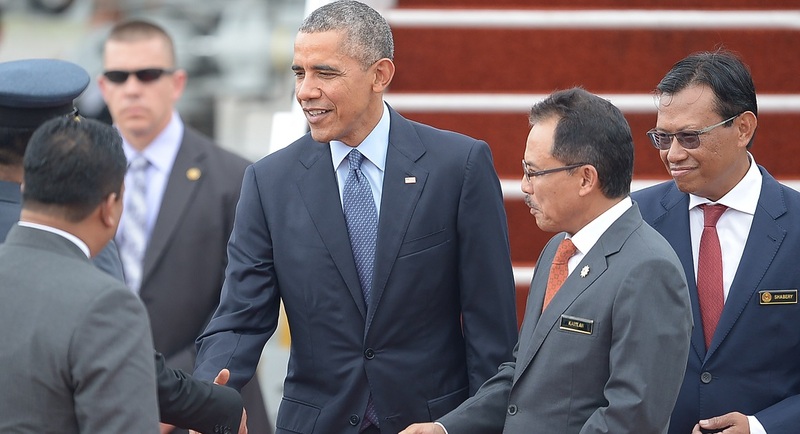 President Obama has spent the past few days in the Philippines and Malaysia, working to strengthen alliances in Asia and help build the multilateral organizations that are writing the rules in that dynamic part of the world. At a time when the American public is focused on national security and the Middle East, it might be surprising for the President to be thinking so much about trade across the Pacific. But the reality is that trade is one of our most crucial ways to guarantee security--and the Pacific Rim trade deal Congress is now considering will be a linchpin of the effort. The economic centerpiece to America’s Asia policy is the Trans Pacific Partnership, a comprehensive trade and investment pact among 12 countries representing 40 percent of the global GDP and 30 percent of global trade. All 12 participants are members of the Asia Pacific Economic Cooperation organization, which convened its annual summit in Manila last week. The hope is eventually the TPP will develop into a Free Trade Area of the Pacific including all 21 APEC countries, ultimately expanding even further to include non-APEC countries such as India and Columbia. Has Putin Gained the Upper Hand in Syria? Further cementing his new role as a major player in Middle East politics, Vladimir Putin has schedule a one-on-one meeting with Iranian president Hassan Rouhani on Monday, in Tehran, at which the two will discuss the fight against ISIS as well as military and economic cooperation. Kremlin aide Yuri Ushakov told reporters that in the meeting, the third between the two leaders this year, “The parties will discuss all topical issues of bilateral cooperation - trade and investment cooperation, nuclear energy, oil and gas production, military and technical cooperation.” Ushakov said topics will include the settlement of the Syrian conflict, the implementation of the Iranian nuclear program, the fight against terrorism, and confronting the Islamic State terrorist group. At a time when our political leaders freely admit that they don’t have a plan to deal with ISIS, or try to tell the nation that we’re somehow “not at war” with a de facto state that our President claims we’re nonetheless going to destroy, it’s deeply refreshing to hear from someone who not only understands how to defeat rabid Islamist murderers, but has actually done it. In a recent interview with CNN, General Stanley McChrystal, who formerly commanded both the Ranger Regiment and the brutally effective Joint Special Operations Command, outlined several key points that I hope our political and military leaders paid attention to. If they’re serious about getting after ISIS, they should have McChrystal’s number on speed dial. We built a model that could have predicted the Paris attacks. Here’s how. Predata’s threat signal around terrorism in France showed a clear spike in the days leading up to November 13. The intelligence failures that led French and European authorities to miss warnings of the November 13 attacks should open the way for greater use of open-source predictive analytics in threat monitoring. The week following the Paris attacks has seen much hand-wringing over the so-called “intelligence failures,” in France, across Europe and beyond, that allowed the terrorists to plan and execute their strategy undetected. 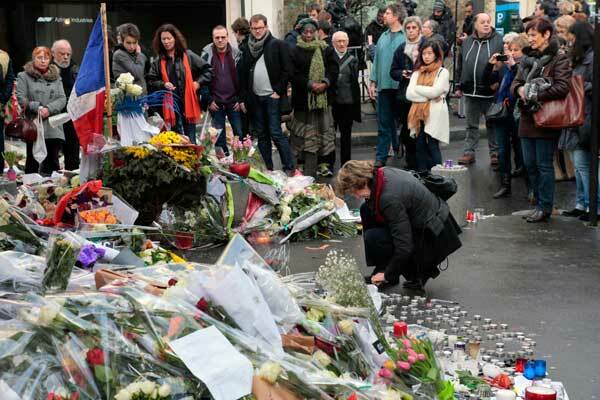 The fact the attackers were well known to various national intelligence agencies — as was the case with the Charlie Hebdo attacks of January 7 2015, and several other terrorists incidents throughout Europe in recent years — has only heightened the shock of the events of November 13. With all the resources and data monitoring tools at France’s disposal, how could this have happened? Cyber security is one of the most robust fields of our time and PwC knows that vets have the potential to be leaders in the industry. Veterans holding IT-related skill identifiers from the military have attended the schools, done the job, and gained extensive real-world experience. The problem has been certification requirements — many employers have required certifications that the military doesn’t necessarily provide in order for the veteran job seeker to be considered. This means vets then need to either use their educational benefits or pay out of pocket to attend training and acquire industry-recognized certifications, further delaying the transition into the workforce, at best. At worst, veterans can be influenced to waste money on the wrong certifications. India’s agencies tasked with cyber security and intelligence are riddled with deep-rooted bureaucracy. The attacks in Paris last week are a somber reminder of how terrorism is evolving: Geographical borders and military technologies are being challenged by online propaganda. The possibility of terrorists getting radicalised in their homes far away from war zones is real – and potentially deadly. One year from now, somewhere in a small suite of offices at the Pentagon, a team of civil servants, military officers, and a smattering of outside civilians will be hard at work preparing for the arrival of the next secretary of defense (SecDef) and his or her top advisors. Republican or Democrat, the next SecDef will face a daunting set of challenges. He or she will inherit ongoing operations in Syria, Iraq, and Afghanistan, rising military tensions with Russia and China, a global counterterrorism campaign, and other inevitable global hotspots. The next SecDef will also assume management of one of the largest organizations in the world. The Department of Defense (DoD) employs nearly 3 million uniformed and civilian personnel; spends more than $600 billion a year; contains dozens of huge organizations like the military services and regional combatant commands; and sustains a massive logistics architecture and a global network of military bases — all of which enable the use of American military power. A new SecDef will simultaneously assume responsibility for managing a $50-billion healthcare system, preparing for contingencies ranging from natural disasters to cyber attacks to conventional war, and signing the orders to send men and women in uniform into harm’s way. No preparation will ever be adequate, but preparation is key nonetheless. If it is true that generals always fight the last war, perhaps it is nowhere truer than in France. Blind to the technological and tactical revolutions at the turn of the 20th century, French strategists believed la furia francese—the élan identified with French soldier ever since the 15th century—would prove too furious. After emerging from the trenches of World War I, convinced that wars would now be fought along static lines, the French built the Maginot Line—the row of massive fortifications that, in 1940, German panzers simply sidestepped. Will the “Black Friday” terrorist attacks in Paris be next on the list of strategic lapses? Tellingly, the question of whether France was preparing for the wrong kind of attack had already been posed by a handful of specialists before Friday’s events took place. The answers they gave to this question not only anticipated what in fact occurred on November 13, but also reveal fatal contradictions in France’s approach to terrorism.